High oil prices, competing demands between foods and other biofuel sources, and the world food crisis, have ignited interest in algaculture (farming algae) for making vegetable oil, biodiesel, bioethanol, biogasoline, biomethanol, biobutanol and other biofuels, using land that is not suitable for agriculture. Algae holds enormous potential to provide a non-food, high-yield, non-arable land use source of biodiesel, ethanol and hydrogen fuels. Microalgae are the fastest growing photosynthesizing organism capable of completing an entire growing cycle every few days. Up to 50% of algae’s weight is comprised of oil, compared with, for example, oil palm which yields just about 20% of its weight in oil. 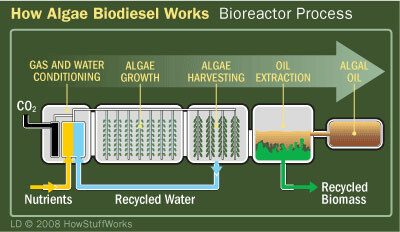 Algae have certain qualities that make the organism an attractive option for biodiesel production. Unlike corn-based biodiesel which competes with food crops for land resources, algae-based production methods, such as algae ponds or photobioreactors, would “complement, rather than compete” with other biomass-based fuels. Unlike corn or other biodiesel crops, algae do not require significant inputs of carbon intensive fertilizers. Some algae species can even grow in waters that contain a large amount of salt, which means that algae-based fuel production need not place a large burden on freshwater supplies. Several companies and government agencies are funding efforts to reduce capital and operating costs and make algae fuel production commercially viable. Companies such as Sapphire Energy and Bio Solar Cellsare using genetic engineering to make algae fuel production more efficient. According to Klein Lankhorst of Bio Solar Cells, genetic engineering could vastly improve algae fuel efficiency as algae can be modified to only build short carbon chains instead of long chains of carbohydrates. Sapphire Energy also uses chemically induced mutations to produce algae suitable for use as a crop. Some commercial interests into large-scale algal-cultivation systems are looking to tie in to existing infrastructures, such as cement factories, coal power plants, or sewage treatment facilities. This approach changes wastes into resources to provide the raw materials, CO2 and nutrients, for the system. 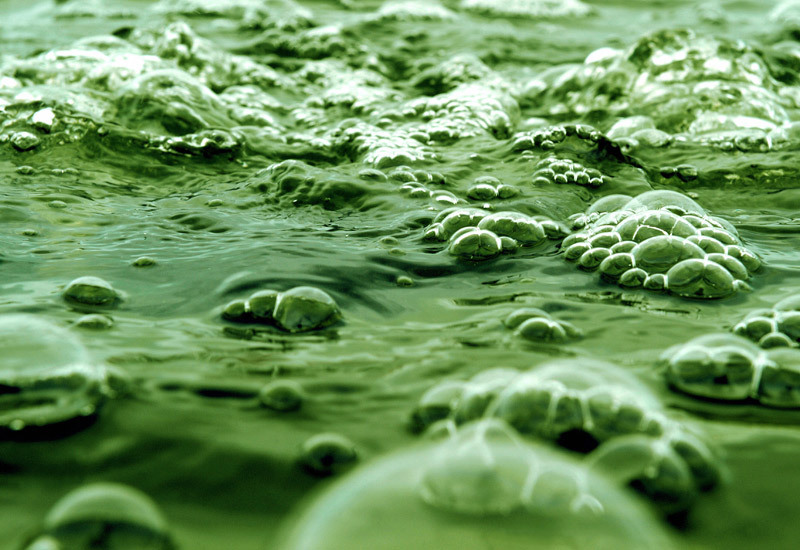 Tagged Advantages of Algae, Algaculture, Algae, Algae Biodiesel, Algae Biofuels, algae oil, Algal Biomass, Biofuels from Algae, Bioreactor, Carbon dioxide, Microalgae, Oilgae, Requirements for Algae Production, What is Algaculture, What is Algae Oil, What is Algal Biomass. Bookmark the permalink. As it is said and quoted “A long journey starts from the first step”. Effort and adaption will be the first step towards promotion of Algal systems which hold tremendous promise for the future. Please advise, after processing the Alge, remaining stuff can be used as cattle feed.